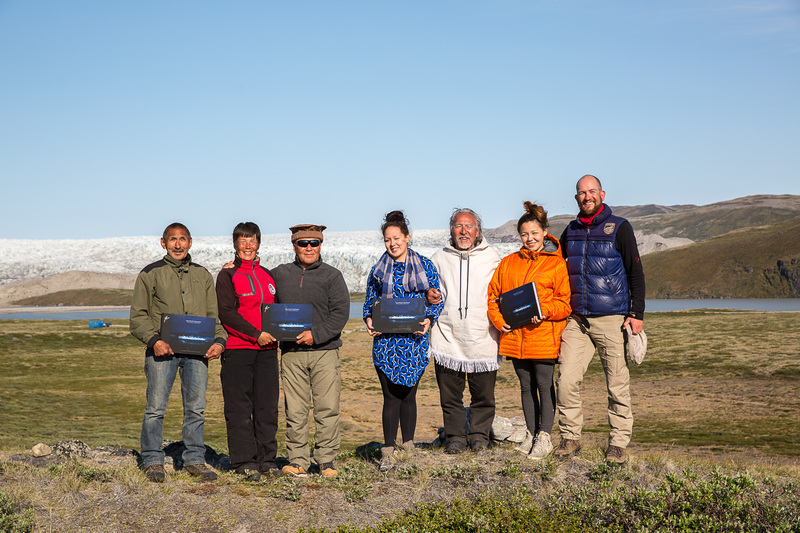 With the Russel Glacier, Greenland, in the background, a moving ceremony took place in July 2015. The Stella Polaris team invited the Lightambassadors of the expeditions 2012 and 2013 there. 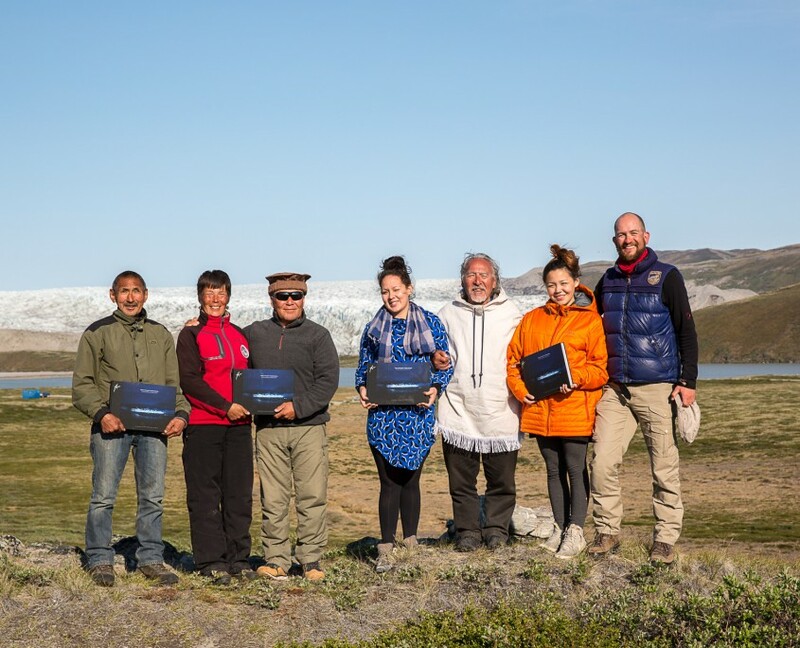 In a small ceremony with Shaman Angaangaq Angakkorsuaq at the sacred fire site, Sven Nieder presented each with a signed copy of the book to the project thanking all in the name of the team. And so the circle closed. The pictures came home, to the place of their origin, to the people who made them possible with their “painting with light”.